PPD offers a broad range of early development services, early phase clinical trial services and nonclinical consulting, helping clients increase efficiencies and accelerate the drug development process. Their scientific expertise and experience as well as wide range of equipment and services enable them to meet clients' needs. Premier Inc. is a healthcare improvement company uniting an alliance of approximately 3,900 US hospitals and more than 150,000 other provider organizations. Our mission is simple: To improve the health of communities. As an industry leader, Premier has created one of the most comprehensive databases of actionable data, clinical best practices and efficiency improvement strategies. FHI 360 is a nonprofit human development organization dedicated to improving lives in lasting ways by advancing integrated, locally driven solutions. Our staff includes experts in health, education, nutrition, environment, economic development, civil society, gender, youth, research, technology, communication and social marketing. Established in 1959, The Interroll is a leading manufacturer of products for unit-load handling systems, internal logistics, and automation. With two business divisions, Global Sales & Service and Products & Technology, the company is able to provide worldwide clients with high-quality products and exemplary services. The Interroll Group employs 2000 people and 32 subsidiaries worldwide. Since 1988, we've provided Environmental, Health and Safety consulting to a variety of public & private sector industries throughout the US & across the globe. Founded in 1969, CJMW Architecture offers competitively priced equipment rentals and sales to people looking for contractor and homeowner tasks. This locally owned and operated company has always been committed to provide expert help and attentive service to each of their customer since its inception. Headquartered in Winston-Salem, NC, CJMW Architecture has aroudn $5 million in revenue. Payroll Solutions, Inc. provides comprehensive payroll services for companies that value flexibility, affordability and responsiveness. Whether your company has one employee or hundreds, they can customize a specific, confidential solution to improve operational efficiency and keep you in compliance. Chapel Hill-Carrboro City Schools is a school district which educates over twelve thousand students in the southeastern part of Orange County, North Carolina. Spectraforce is a leading global services that provides full-service staffing solutions for clients in Clinical Research, Scientific, Engineering, and Information Technology industries worldwide. It offers a range of services including data warehousing, eCommerce, application integration, and web-enabled applications. The firm is headquartered in Raleigh, NC and has offshore global delivery centers in Pune, Chandigarh, and Hyderabad, India. Chemtex Global Corporation is a Technology and Engineering company with over 70 years of global experience in providing world class technologies for intermediate chemicals, polymers and gas processing. Coupled with our expertise in providing technologies suitable for local markets, they provide state of the art design packages. Incorporated in 1960, Brown Investment Properties is a family owned, full-service commercial real estate company offering quality products and services for a fair profit in development, management, and brokerage. The firm takes pride in the director's and senior management's 185 collective years of experience in the industry and having a team of real estate professionals that make the company recognized among the experts in commercial estate. Brighthouse Financial, Inc. (NASDAQ: BHF) is a major provider of annuities and life insurance in the U.S., with $219 billion in total assets and approximately 2.6 million insurance policies and annuity contracts in-force (as of March 31, 2018). Holden & Mickey's professionals bring to client service four generations of experience in financial services. They advise clients on insurance and investment strategies that work best for helping to achieve specific goals. They also use their relationships and leverage with a range of service providers for the benefit of clients. including Optometrists, Ophthalmic Technicians, and Opticians! MCI - Setting the standards in Quality in Design, Installation, & Service for 70 years in Commercial HVAC and Engineering for new construction and up-fits in the Charlotte and Raleigh North Carolina metros and surrounding areas. Child Care Services Association (CCSA) is a nationally recognized nonprofit working to ensure affordable, accessible, high quality child care for all families. Swisher Hygiene Inc. is a sanitation company in the United States which until 2015 traded on the NASDAQ . Originally a janitorial service company, two-thirds of its revenue are now generated by selling cleaning and sanitizing chemicals. Holden Moss Knott Clark & Copley, P.A. Certified Public Accountants. Founded in 1963 by the late Charles B. West III, the grandson of a prominent Greenville builder and architect, Custom Building Company boasts a heritage in design and construction that spans five generations. Today, Custom Building Company's team leverages the company's decades of construction experience to deliver on a reputation for excellence now and well into the future. Helping their clients connect with their customers, donors, and prospects through direct marketing, mail, e-mail, and other relevant channels. Excalibur brings an experienced, integrated service delivery team to every project. With an average employee tenure of over 15 years, you will benefit from their proven expertise. Starmount Forest Country Club is a private club located near downtown Greensboro offering golf, tennis, aquatics and fine dining facilities. Odell Architecture operates from Charlotte NC, Richmond VA, Houston TX, and Shanghai China, where we enjoy a national and growing international practice. The Cook & Boardman Group, LLC distributes architectural hardware, doors, doorframes, and related building products for non-residential building applications in the United States. The company provides custom wood doors and architectural woodwork; access control and video systems; metal doors and hollow metal frames; and engineering services, and frame welding and fabrication services. Its customers include general contractors, design build contractors, commercial building owners, and national account customers. The company was founded in 1955 and is headquartered in Winston-Salem, North Carolina. It has locations in Charlotte and Winston-Salem, North Carolina; Greenville, Columbia, and Charleston, South Carolina; Newport News, Virginia; Salt Lake City, Utah; Idaho Falls and Meridian, Idaho; Baltimore, Frederick, and Rockville, Maryland; and Alexandria, Leesburg, Fredericksburg, and Lynchburg, Virginia. The company also has additional offices in Cumberland and Bangor, Maine. Offering land for sale in North Carolina and virginia. Hunting, forestry, timberland, development land availible. Representing landowners with consulting forestry services, timber sales, appraisals and real estate sales in NC and VA.
Crowder Construction Company is a privately owned General Contracting, and Design-Build service provider. The Rowan-Salisbury School System is a PK-12 graded school district in North Carolina covering nearly all of Rowan County including the city of Salisbury. A B2B Customer feedback Solutions Company since 1989, The Daniel Group helps B2B manufacturers and value-added dealers create more loyal customers. Paragon Bank offers private and commercial banking for small and mid-size businesses, professional firms, and nonprofit enterprises across Raleigh, Charlotte & Cary, NC. When you're in need of contact center consulting services including outsourcing, staffing or management get in touch with the Contact Center Experts! We are retail staffing, temporary labor and merchandiser staffing specialists. We can build your team exclusively focused on retail service. We are a full service Eastern North Carolina law firm with locations in Kinston, Greenville, New Bern and Snow Hill. Ward and Smith, P.A. is a full-service NC law firm with offices in Asheville, Greenville, New Bern, Raleigh, & Wilmington with more than 35 practice groups. Childress Klein has been a leading provider commercial real estate & property management services in Charlotte and Atlanta for over 35 years. The Wilds Christian Association, Inc. is a Protestant Christian organization, based in Brevard, North Carolina. Hamilton Stephens Steele + Martin is a law firm providing effective legal services to individuals, small to mid-sized businesses, and municipalities. A community bank in business since 2000. We serve North Carolina through 13 full-service banking offices. We meet local needs with local resources. Northwood Ravin is an industry leading real estate management company, with luxurious communities across the United States. Nvolve is a powerful e-learning course creator and Learning Management System with the options of using ready-to-go courses. Bonded Logistics is a 3PL in Charlotte, NC that integrates warehousing, packaging, and transportation services to offer turn-key supply chain solutions. Capital Bank, part of the First Horizon National Corporation family of companies, is focused on providing superior financial service every day through a network of locations statewide and around the region. From the beginning, the First Horizon family of companies has been committed to the customers and communities they serve. "SERVICE FIRST!" This is more than just a motto, it's the belief system that drives our company! Established in 1975, SIA Group is one of the largest privately owned full-service insurance agencies in the United States. 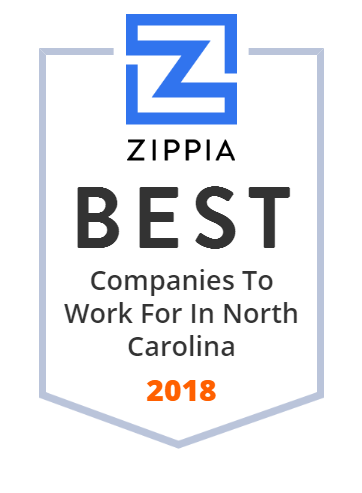 This award-winning firm provides services to clients in multiple locations throughout North Carolina, Tennessee, and Virginia. SIA Group provides a range of services such as industry specialization, business insurance, and consulting services. It has been listed as aTop 100 Privately Held Property Casualty Agency by the Insurance Journal.